As a self-sustaining tax-exempt cultural education organization Southwest Seminars is thankful for your support in our mission of service to cultural educational by attending our lectures, participating in our tours, and making a year-end donation. With a very successful year behind us we are grateful for our incredible friends, audience and the opportunity to be of service. In 2018 Southwest Seminars hosted over 50 public lectures attended by usually 80-120 folks weekly at tribal-owned Hotel Santa Fe. The Monday night lectures feature exceptional scholars in the fields of Archaeology, Southwest History, Native Cultures and Natural Sciences who share primary research with an engaged audience of Santa Fe locals and visitors of over 5,000 folks annually. Twenty years after our founding in 1997 we have offered over 1,200 public lectures and hundreds of field study tours. Our efforts provide public exposure to scholars of primary research and engage members of our community in important issues. In 2018 Southwest Seminars conducted numerous study programs accompanied by exceptional scholars. 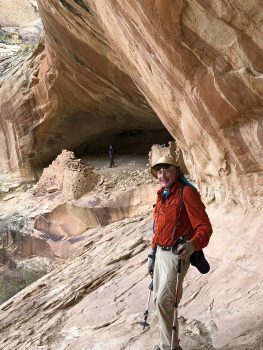 Participants learned about pre-contact migration and the clash of cultures between the Hohokam and Ancestral Puebloan ideologies. 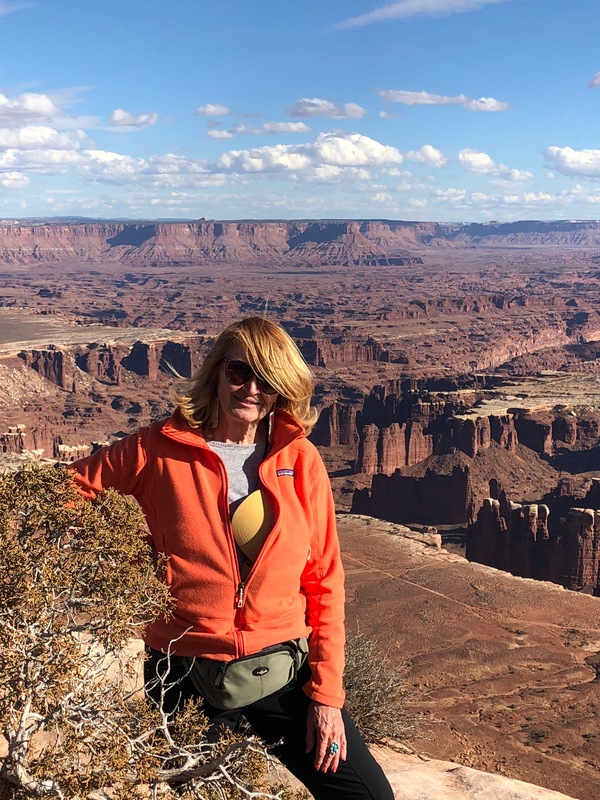 We explored historic sites hiking in Southern Bears Ears and rafting the San Juan River learning about sacred sites, Basketmaker rock art, Dine’ and Hopi culture. We learned about supervolcanoes and massive calderas in the San Juan Mountain as we viewed geologic and historical highpoints amid stunning natural beauty. We learned about the traditions of Pueblo feasting and how Tewa culture is strengthened by village preservation projects. Participants witnessed ceremonial dances and visited native friends and artists. Educational programming and lectures were also provided for special academic and private groups. Southwest Seminars would be grateful for your financial support for our educational programing. A tax-deductible gift by check can be made payable to Southwest Seminars and sent to 219 Ojo de la Vaca, Santa Fe, New Mexico 87508. We look forward to seeing you in the coming year and are excited about our upcoming activities. Please share our lecture and trip schedules with your friends or suggest they sign up for our occasional newsletters, tours and visit our website to learn more. Thanks for your amazing support and know how much you mean to both of us at Southwest Seminars, a non-profit 501c3 educational organization. SOUTHWEST SEMINARS is an educational non-profit organization 501(c)3 that specializes in developing programs in Southwest studies: including history, archaeology, art, literature, natural history, geology, ecology, biology, cultural affairs, and other Southwest studies which are sensitive to the multi-cultural heritage and community traditions of its people, for the benefit of residents, visitors, individuals, and groups. Its purpose is to educate, foster and encourage awareness, as well as to heighten cultural sensitivity in the Southwest through seminars, lectures, conferences, educational and cultural tours. 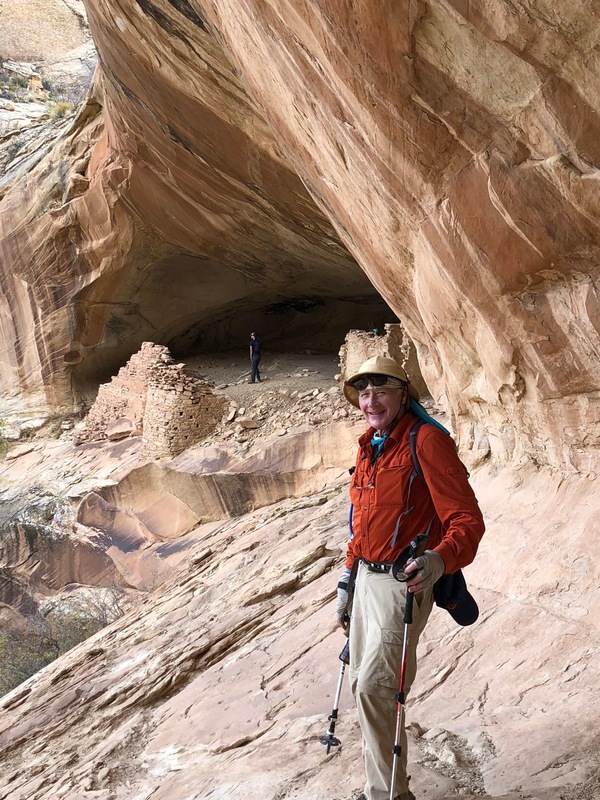 ALAN OSBORNE, co-founder of Southwest Seminars and native of Oklahoma, was educated at Oklahoma State University and completed his Master’s coursework (UNM) in American Indian history and Spanish Colonial borderlands. His academic teaching and public lecturing specialties are American Indian history, Spanish Colonial borderlands frontier history, and Mexican-American territorial history.Alan has presented educational guest lectures for American Philosophical Society, Museum of Indian Art and Culture, Wheelwright Museum of the American Indian, Council on International Relations, The Palace of the Governors, Western United States Attorneys General, Federal Administrative Law Judges, U.S. Senate-Canadian Parliament Bilateral Trade Commission, the National Trust for Historic Preservation. Alan was the New Mexico State Director of Elderhostel for 12 years. 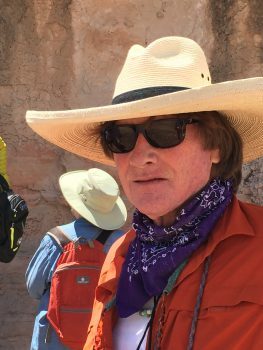 He has toured with educational study groups such as Yale Alumni Association, UCLA Alumni Association, Princeton GeoGrads, The American Orient Express/American Museum of Natural History, Smithsonian Travel Associates, Council on International Relations and New Mexico Humanities Council. SOUTHWEST SEMINARS CREATES EDUCATIONAL PROGRAMS that raise awareness and interest in the cultures and rich history of New Mexico and the Southwest. Founded in 1997 we fulfill our mission in a number ofways. Southwest Seminars sponsors lectures 50 Mondays a year working with regional experts, authors, Native American and Hispanic cultural ambassadors. We provide speakers for community and corporate groups. Southwest Seminars received the 2008 Historic Preservation Award for our community lectures in Anthropology and Archaeology. Endorsed by the Cuarto Centenario Committee in 1998 and by Santa Fe’s 400th Committee in 2008 our lectures have been attended, at last count, by over 100,000 people. 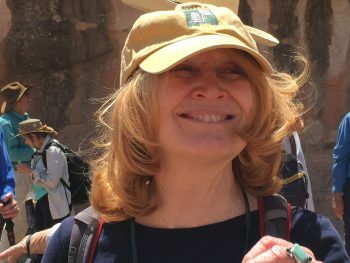 WE CREATE EDUCATIONAL TRAVEL PROGRAMS for academic groups such as: Archaeology Southwest, Amerind Foundation, UCLA Alumni Travel, Yale Alumni Association, Princeton GeoGrads, Association of Federal Law Judges. SOUTHWEST SEMINARS’ PROGRAMS frequently honor or benefit the work of other non-profits including; The Archaeological Conservancy, Archaeology Southwest, School for Advanced Research, Indian Arts Research Center, Picuris Pueblo Kiva Restoration Fund, Palace of the Governors, New Mexico History Museum, Office of Archaeological Studies, Museum of Indian Arts and Culture, Museum of New Mexico Foundation, New Mexico Environmental Law Center, Galisteo Basin Coordination Committee, Indigenous Language Institute, Native American Rights Fund, Smithsonian National Museum of the American Indian, American Indian College Fund and Vecinos del Rio. Southwest Seminars, participants and instructors in our programs donated over $45,000 to many of these wonderful groups. Southwest Seminars has received financial support from the New Mexico Endowment for the Humanities, Los Alamos National Laboratory Foundation, The Lamar Morse Charitable Trust, the City of Santa Fe and participants of Southwest Seminars programs. Permissions: Most of the photos on this site came from our camera, but a few came from family, friends or students over many years. Beautiful images have come to SWS from Dr. Linda Cordell, John Potter, Dr. Frances Levine, Dr. Wendell Harris, Dr. Kirt Kempter, Sandia Johnson. Michael Buchheit and Richard Moeller, Historical Postcards, Chimney Rock National Monument, Museum of New Mexico. Jesse Nusbaum, James Kaiser, Anglers Guide. Some images have come from the web. If we have missed acknowledging you, contact us for proper credit.